Edo State Governor, Mr. Godwin Obaseki is set to kick off the development plan to make Tayo Akpata University of Education, Ekiadolor technologically driven and benchmarked on global standards. 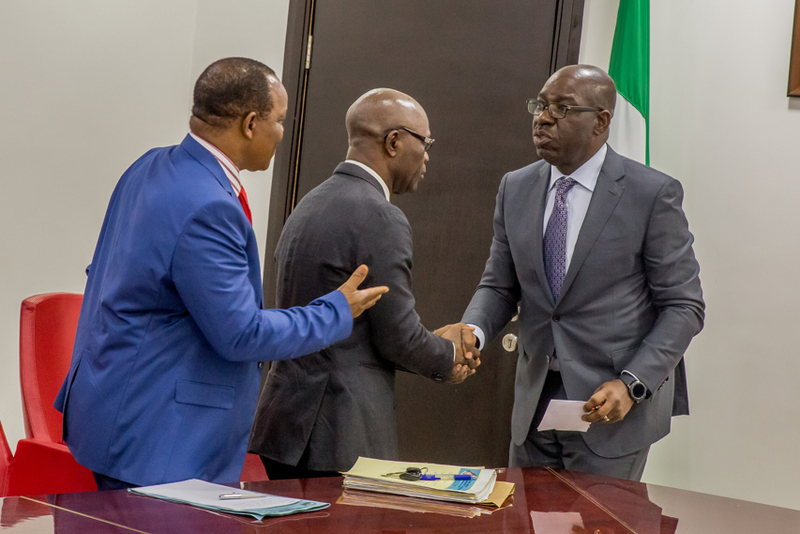 Governor Obaseki disclosed this during the inauguration of a Project Team to oversee the fine-tuning of the master plan, which he said needed additional work to improve the curriculum, teaching standards to meet global standards, adding the initial master plan did not make provisions for expansion. The team, which he will chair, has a deadline for completion of project. The deadline will be by September, at the close of the current academic year, while the team will meet every fortnight. Other members of the project include the Pro Chancellor of the school, Thomas Okosun, who thanked the Governor for assembling the team and for his unmitigated passion and commitment towards the development of Tayo Akpata University. Meanwhile, Governor Obaseki, who had earlier visited the University and promised to make it an excellent institution revealed that emphasised that Edo government had decided to set up the educational system to meet up the gap between schools within the state and others in the world. He said, “For me I think we could do better in terms of planning. We are benchmarking ourselves by national standards, but we should be looking at it from a global standard. Let us put in more resources and set up a project team to up the game”. Furthermore, he said he also noticed that the master plan did not have plans for expansion in the future. Hence, the need to make adequate provision for the expansion. The Governor went further to say that the state government was in talks with different investors who are willing to pull in resources for the development of the school.